Lisa L. Bradner practices general civil and commercial litigation, specializing in employment disputes, wage and hour actions, personal injury and appeals. She has handled individual and multi-state class, collective, and representative employment, wage, civil rights, and designated complex lawsuits in state and federal court for more than 13 years. She also handles state and federal appeals, including defending an appeal before the Ninth Circuit Court of Appeals. Ms. Bradner performs investigations and provides training and advice to California employers. 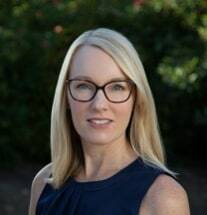 Ms. Bradner is on the Executive Committee for the Labor and Employment Section of the Sacramento County Bar Association, and a member of the Labor and Employment Section of the State Bar of California.